Africa is a huge continent made up of 54 very different countries, and as such, talking about travel vaccines in general terms is difficult. The vaccines you will need depends heavily on where you're going. For example, if you're headed to the jungles of the Democratic Republic of the Congo, you'll need to spend a lot longer at the travel clinic than you would if you were visiting the first-world cities of South Africa's Western Cape. With that being said, there are several vaccines that apply no matter where you're going. Please note that the following is not a complete list. Make sure that you seek the advice of a medical professional when deciding on your vaccination schedule. As with all foreign travel, it's a good idea to make sure your routine vaccines are up-to-date. 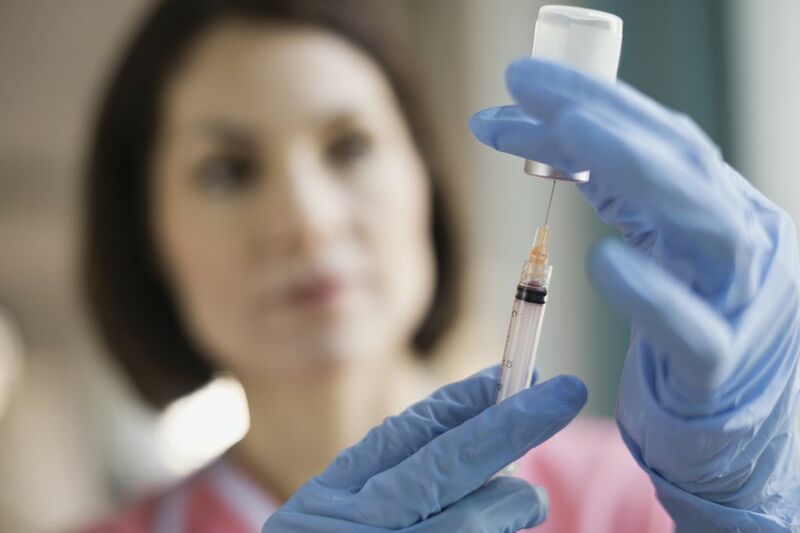 These are the vaccinations that you should have had as a child - including the Measles-Mumps-Rubella (MMR) vaccine and vaccines for chickenpox, polio, and Diphtheria-Tetanus-Pertussis. If you're traveling with children, make sure that they have had their routine vaccines, and check with your doctor to see whether you're due for a booster. There are some vaccines that aren't standard in the United States or Europe, but which are definitely a good idea for those traveling to Africa. These include vaccinations against Hepatitis A and Typhoid, both of which can be contracted through contaminated food and water. Hepatitis B is transmitted via bodily fluids, and there is a risk of contamination through unscreened blood (if you end up having to go to the hospital) or through sexual contact with a new partner. Finally, Rabies is a problem throughout Africa and can be transmitted by any mammal, including dogs and bats. Whilst highly recommended, all of the vaccines listed above are optional. There are some that aren't, however, and of these, Yellow Fever is by far the most common. For many African countries, proof of Yellow Fever vaccination is a legal requirement, and you will be refused entry if you don't have proof with you. You'll need to check with the embassy of your chosen destination to find out whether this condition applies to you - but generally speaking, Yellow Fever vaccination is a requirement for all countries in which the disease is endemic. Often, non-endemic countries will ask for proof of vaccination if you are traveling from or have recently spent time in a Yellow Fever country. For a list of all Yellow Fever countries, see the map by the Centers for Disease Control and Prevention (CDC). Depending on the country and region that you're planning on visiting, there may be several other endemic diseases that you'll need to vaccinate against. Some sub-Saharan countries (including Kenya, Uganda, Ethiopia, and Senegal) are part of Africa's 'Meningitis Belt', and vaccines for Meningococcal Meningitis are strongly recommended. Malaria is a problem for many sub-Saharan countries, and although there is no malaria vaccine, you can take prophylactics that reduce the likelihood of infection dramatically. There other diseases that you can't vaccinate against, including Zika Virus, West Nile Virus and Dengue Fever. All of these are spread by mosquitoes, and the only way to avoid infection is to avoid getting bitten - although vaccines for Zika Virus are currently in clinical trials. In the meantime, pregnant women and women who are planning on becoming pregnant should discuss the risks of Zika Virus carefully with their doctor before booking a trip to a Zika endemic country. Visit the CDC website for detailed information on which diseases are prevalent in each African country. Some vaccinations (like the one for Rabies) are administered in stages over several weeks, while certain malaria prophylactics need to be taken for two weeks before departure. If your local doctor or travel clinic doesn't have the right vaccines in stock, they will have to order them especially for you - which can take time. Therefore, to make sure you get the vaccines you need, it's a good idea to book an initial consultation with your doctor several months before your African adventure.